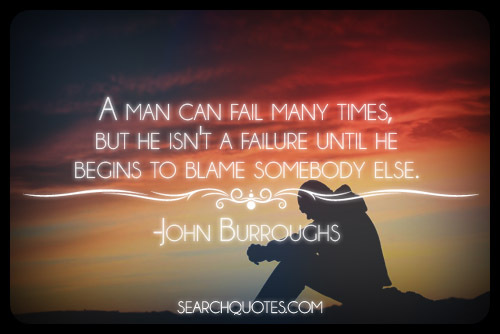 We Can Fail Forward or we can Remain in the City called Regret! Okay, you sinned! You have been plagued with a daily visitor. He has visited your heart and mind every day since you sinned. He reminds you that you are worthless; that your life is now irrelevant, and absolutely unable to be used of God again. The visitor’s goes by the name of Guilt. The truth is, as you would readily admit, is that you are guilty. You have committee the sin against God. There is no covering the sin. You have acknowledged this sin. You are not proud of it,and even wonder how it could had happened in the first place. However, what Guilt does not want you to recognize, is that once you went to God seeking His forgiveness, that God has already forgiven the offense. Our text makes this clear from I John 1:9. Unfortunately, many people, including those in the Christian family, will not let you forget what you have done wrong. There will be articles written; Facebook posts printed; Tweets dispatched to remind the world of what a failure you have become. Even though they claim for themselves, the forgiveness that God has for all believers, when it comes to another Believer, they seem to slam the door of grace shut! So my advice to you, should you find yourself expecting to find grace, from those living in the “Grace is for me and not for you neighborhood” is simple. If you’re holding out for the universal acceptance and grace from this community, I’m afraid that you will be holding up in your room for a very long time. While is it wonderful whenever others accept that God has forgiven you, you cannot, and must not allow another’s treatment of you to negate what God has already given to you: forgiveness. 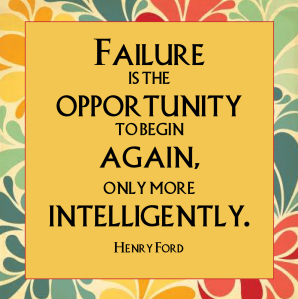 How Can and Should we Face Failure? 1. First, we must CONSIDER our sins and failing. The Bible speaks of this in Psalm 139:23-24: “Search me, O God, and know my heart: try me, and know my thoughts: And see if there be any wicked way in me, and lead me in the way everlasting.” The word for search means “to ransack.” It carries the idea of a thief breaking into your home and going through every area of your house to search for valuables. We must invite and the cooperate with the Holy Spirit, as He searches our hearts to reveal that which is offensive to a holy God. No attempt of a cover-up, like many governments and people are prone to do. Complete cooperation with the Holy Spirit. Once our sins have been revealed, we may now go to God to confess our sins. 2. Second, we must completely CONFESS our sin and failing to God. We cannot compromise the sin. We must admit that we had sinned against God and perhaps to others. Jeremiah 33:8: And I will cleanse them from all their iniquity, whereby they have sinned against me; and I will pardon all their iniquities, whereby they have sinned, and whereby they have transgressed against me. I John 1:9: “ If we confess our sins, he is faithful and just to forgive us our sins, and to cleanse us from all unrighteousness.” The word confess carried the idea of completely agreeing with God about our sin. It means that we will now take sides WITH God against our sins! Once we do this, we now have a great promise of complete cleansing! Create an Environment where You are not Placing Yourself in an Area of Temptation. If a person’s sin was drinking, then one might want to write down the things which could lead him to the cesspool of sin and make a commitment to God to avoid these areas of temptation. . It would be wise to stay away from liquor scenes. Simply turn the channel when they appear in a commercial or in a TV program. Avoid any connection with liquor at all costs. You might need want to stay out of restaurants that serve it; avoid parties that would make it easily available to you. The Principle of Replacement is found in the Book of Ephesians Chapter Four. We are to replace lying with truthfulness; stealing with giving; anger with kindness; unforgiveness with forgiveness; bitterness with dealing with the offense we have with another, before going to sleep at night. The practical application would be to replace the sinful, old behaviors with new positive, Biblical habits. This is how we will get victory over that which has caused us failing and sin in the past. Many people have a position, perhaps as a Pastor, Sunday School Teacher, Youth Director, or as the CEO of a Company. Even though they possess a position, they might admit they have lost their passion for this position. The mistake often made is when a person Possesses a Position without a Purpose, this will lead to a spirit of Complacency. Time is far too short to allow Complacency to enter into our lives and ministry. In I Samuel 17:29 we see where David had a cause. His cause was to defeat the giant Goliath because he was mocking God and God’s people. Again I ask you, “What is your Purpose? 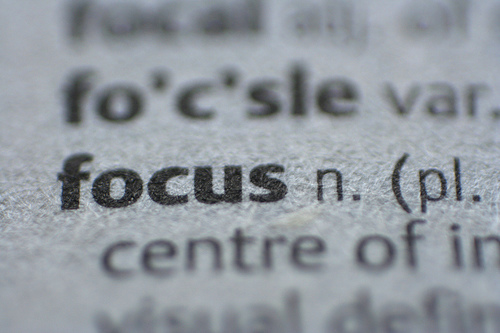 What is it that drives you each day?” What are you truly focused on? More specifically,what is your purpose in being a Leader? Hopefully, it is to Influence others Biblically and to Impact this world for Jesus Christ. Why do you want to help people? Finally ask yourself this question, “What is the contribution that you want to make in your lifetime?” No matter what your age, or what position you are in your life, you will never finish contributing. A truly great leader is someone who is always seeking to do more for God and to impact this world for Jesus Christ!. Is your Purpose Being Pursued with Passion? When you find a Purpose that is Bigger than anything you ever dreamed of, and Pursue it with Passion, it’s amazing how the supernatural can become the normal. God wants Men and Women of Purpose, Passion, and Power to Pursue the Phenomenal for Him! Will you ask God to Provide the Passion you once had? You Can Do Something truly Significant for God IF you will believe in God’s ability to work though you for His glory! Pastor, Missionary, Evangelist, when you answered God’s call to preach, what did you one day hope to accomplish for the Cause of Christ? What was your over-riding purpose? Are you closer to the achievement of this cause? Has your passion for this cause grown over the years? Has it intensified? The Bible clearly teaches that we all have much usefulness in us. We are important to God! Therefore, get on your knees, accept God’s forgiveness, and ask God to use you for Him once again. Listen to those who are encouraging you to do more for God rather than those who says, “You have blown it; God will never use you again; it is all over for you.” John 8:44 reminds us Satan is a liar and the Father of it. Will you believe God or will you continue to believe Satan? I thank God that Samson, even with the scars of sin so evident, was able to be used of God in a great way before he died. I am glad that John-Mark, who once quit on God, repented of his sin and was able to become most profitable to God and more specifically, the Apostle Paul. Paul asked for John-Mark to come to him prior to his death. God was still using John-Mark. Show me one person in Bible that did not fail God at some point in their lives; yet God was able to use them after thoroughly getting right with God. Adam and failed God through their disobedience; Abraham failed in his lack of faith and disobedience; Moses murdered a man; David committed adultery and even set up the woman’s husband to be killed in battle; Peter failed Jesus by denying Him three times in one evening. Yet they were all used of God after they returned to God and accepted God’s grace and forgiveness. I am not glorifying sin, but I am demonstrating the grace of God in the lives of people that have failed. Perhaps we failed in our walk with God; perhaps failed financially; perhaps in a new endeavor. Yet we can may still be able to accomplish great things for God. To use an old saying from our friends in Texas, “It does not matter how much milk you spill as long as you don’t lose the cow.” Once again, failings are not irreversible. Keep things in perspective; learn from them; and use them to help other people. A) God, what are you trying to teach me through this situation? What wrong assumptions did I make? What “Blind-spots” are you revealing to me? B) God, how can I use my mistakes/sins to help other people? C) God, are you opening a new door of ministry for me through this failing? Listen, you must quit allowing your past to hold you hostage today! I greatly desire to add value to other people. I have lived my life trying to see other people ‘with the ability to become’! I strongly believe there is something useful in EVERY person, no matter what their past or present is like, God can still use them! I believe it is our responsibility to encourage and to provide Biblical Hope to others. I personally believe that the greatest difference between those who remain Average and those that Achieve great things in life, will be determined in part, by each individual’s perception and response to failings. You can look at the failing as an end to your calling and dreams, or, you can choose to use those failings to increase your ability to succeed for the cause of Jesus Christ! Will YOU choose to Accept life as a Hostage to your failings, or will YOU choose to Answer the above questions that will focus on Your Future, rather than your Past! The Choice Really is Yours!